Join us for an evening of poetry, coloring, and Cambridge history! Poet Alan Feldman and artist Miriam Bucheli will offer a multidisciplinary workshop featuring Feldman's poetry and Bucheli's hand drawn designs. Participants will listen to Feldman read his poetry while engaging in mindful coloring. The workshop will end with a wrap up discussion. 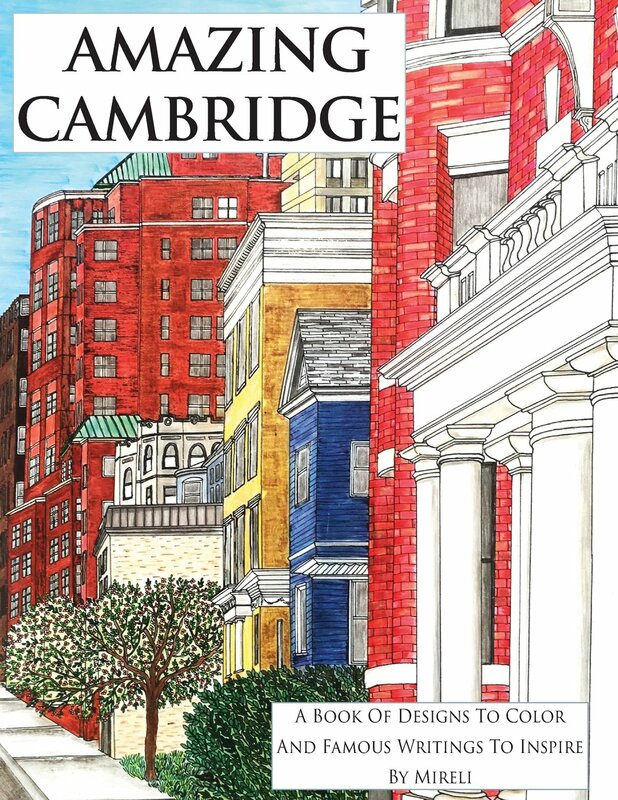 Featured designs will include those from Bucheli's 2017 publication, Amazing Cambridge, inspired by Cambridge's history, architecture, and notable writers. This experimental exercise is designed to encourage awareness, contemplate history, engage creative senses, and provoke thoughtful discussion. Alan Feldman is the author of Immortality and the recipient of the 2016 Massachusetts Book Award for Poetry. Miriam Bucheli is an illustrator, scientist, and founder of MirelliBooks. This program is sponsored by the Cambridge Arts Council and the Massachusetts Cultural Council. Space is limited. Registration is mandatory.